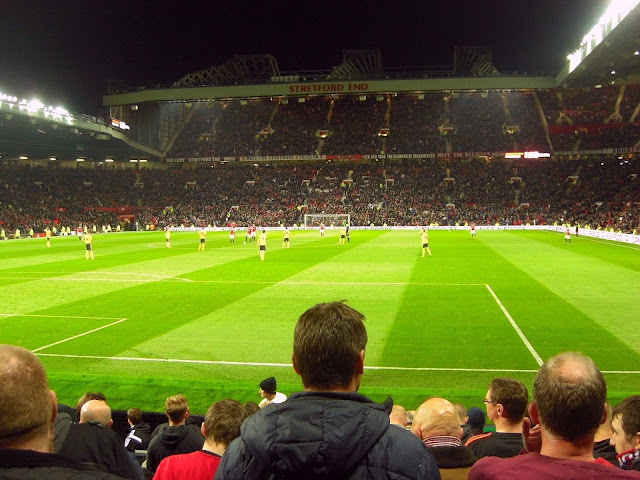 My twenty-first ground of 2015 was on Wednesday 28th October at Old Trafford in Old Trafford, Greater Manchester. 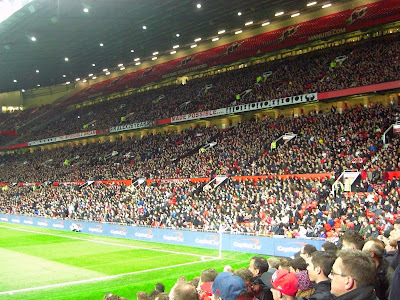 The match was Manchester United vs. Middlesbrough in the Football League Cup 4th Round. 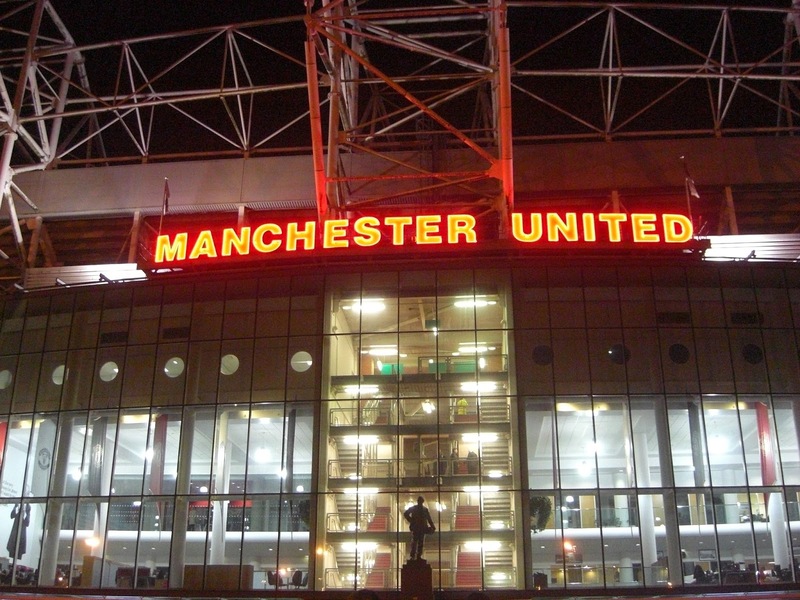 The Old Trafford complex sits in an industrial part of the city adjacent to a freight rail terminal. It is bordered by its own railway station to the south and the River Irwell to the north. The closest tram stop at Old Trafford is half a mile south but there are several other stations within a mile in other directions. 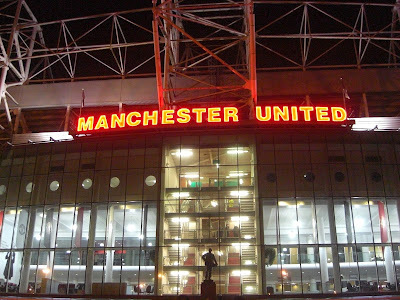 The stadium has been Manchester United's home since 1910 except for a few years during the 1940s when bomb damage forced them to play at Manchester City's Maine Road ground. I visited Old Trafford for a couple of tours during the 1990s but the venue has changed dramatically since. The 'front' of the ground is the East Stand which has a massive glass facade showing club offices behind. The base level contains the club reception and a vast megastore. The area in front of the stand has been converted to a plaza with a football mosaic on the floor. As you work your way round the outer ring of the stadium you go through a number of tunnels. The South Stand tunnel contains the Munich Air Disaster memorial and well as entrances to the press area and several directors boxes and suites. The West Stand includes a suite for international fans while the North Stand includes a number of suites as well as the ticket office, a cafe and the club museum. Inside the ground the largest stand is the Sir Alex Ferguson Stand on the north side of the venue. Completed in 1996 this is the only three-tier stand in the venue and can hold 25,500 fans - around a third of the overall capacity. The two stands behind the goals had second tiers added during the early 2000s. 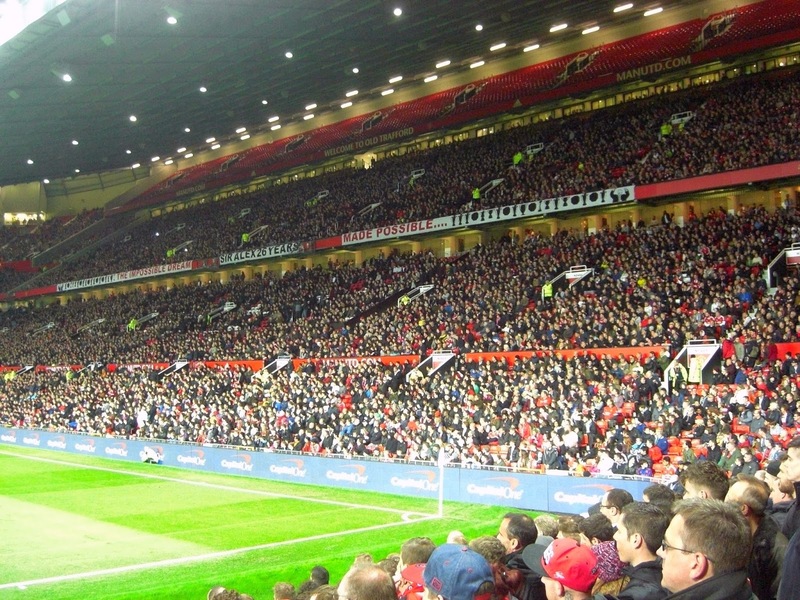 The Stretford End behind the western goal houses 12,000 people across two tiers. At the other end of the pitch the East Stand is similar but has a large disabled section carved into the southern side of the lower tier therefore giving it a slightly lower capacity of 11,500. The South Stand is the only single-tier structure in the ground and seats 11,500. It includes the TV gantry and at the back of the stand corporate boxes which then extend in a bowl around the other sides of the stadium. As the only single-tier stand any potential future expansion of the venue would centre around this area. The most recent work was the addition of seats to the quadrants linking the stands giving the ground a current capacity of just under 76,000 making it the largest club ground in England. There was very little action in the first half - the closest the tie came to a goal was when Sergio Romero palmed away Stewart Downing's 25-yard effort. The visitors gave it a good go in the second period and at one point had the ball in the net only to see it ruled out for offside. Romero was forced into making several saves but then blotted his copybook by almost gifting Boro an embarrassing goal when he misjudged a backpass and saw the ball bounce inches wide of the post. The home side very nearly won the tie late on when Ashley Young's crossed to the backpost found Jesse Lingard who half-volleyed the ball back off the woodwork. With no goals the game headed into extra-time - the hosts had several chances but when Anthony Martial headed wide from six yards out it was clear this one was going to be resolved by penalties. In the shoot-out Wayne Rooney, Michael Carrick and Ashley Young all missed sending the Championship side through 3-1.